Lawyerly is the leading daily source of high-stakes commercial legal news, analysis and expert insight. 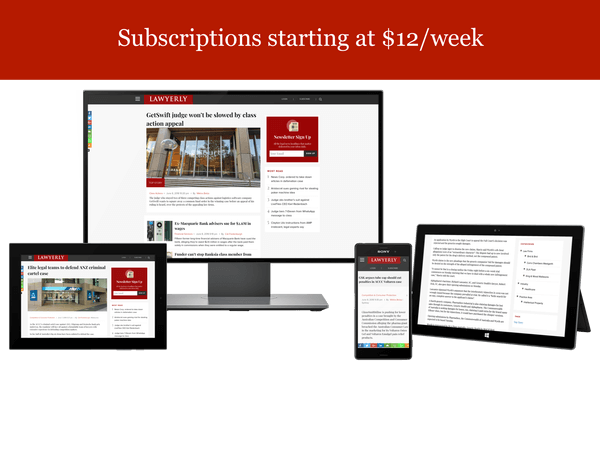 Subscribe now for just $12 a week! Corporate enterprise and group plans available for 10+ users. Contact us to learn more. How many users would you like to add to your plan?